Looking stylish and classy is the right for everyone especially by picking up your favorite celebrity style. 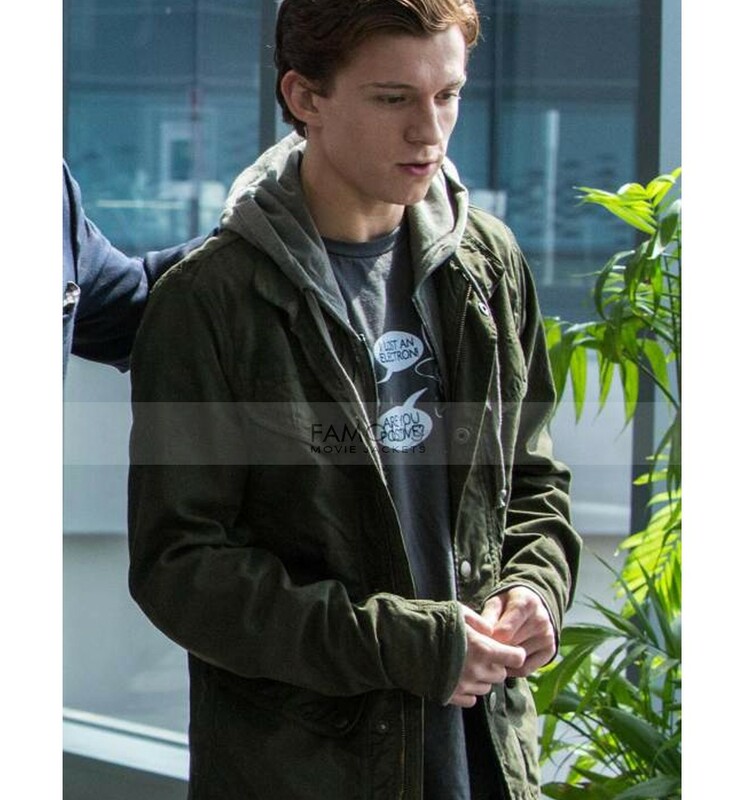 But adopting a celebrity style may be expensive for this reason we as a style maker brought to you a stylish jacket worn by Tom Holland in the upcoming movie Spider-Man Homecoming. 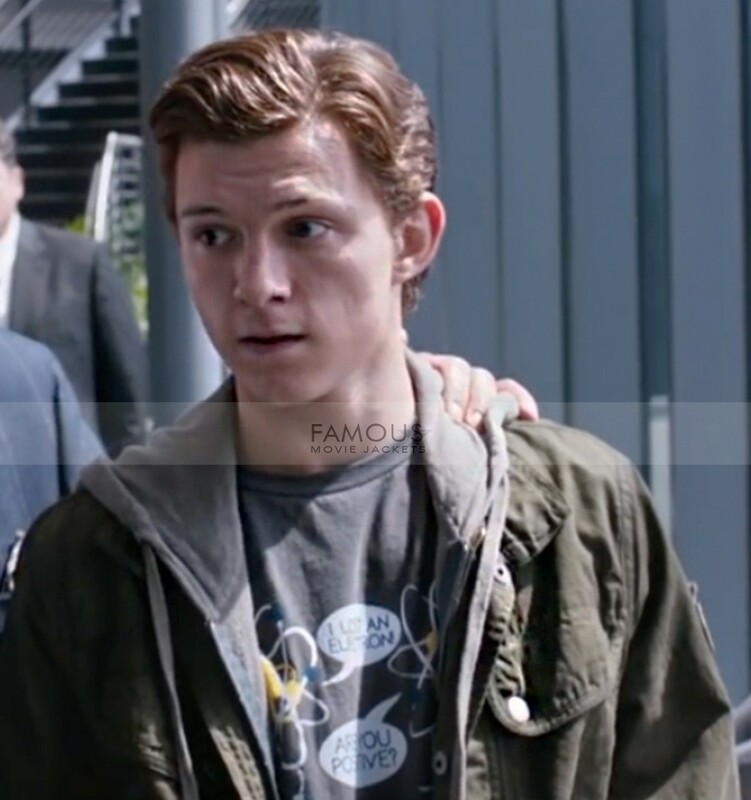 This is the second sequel of Spider-Man Reboot. 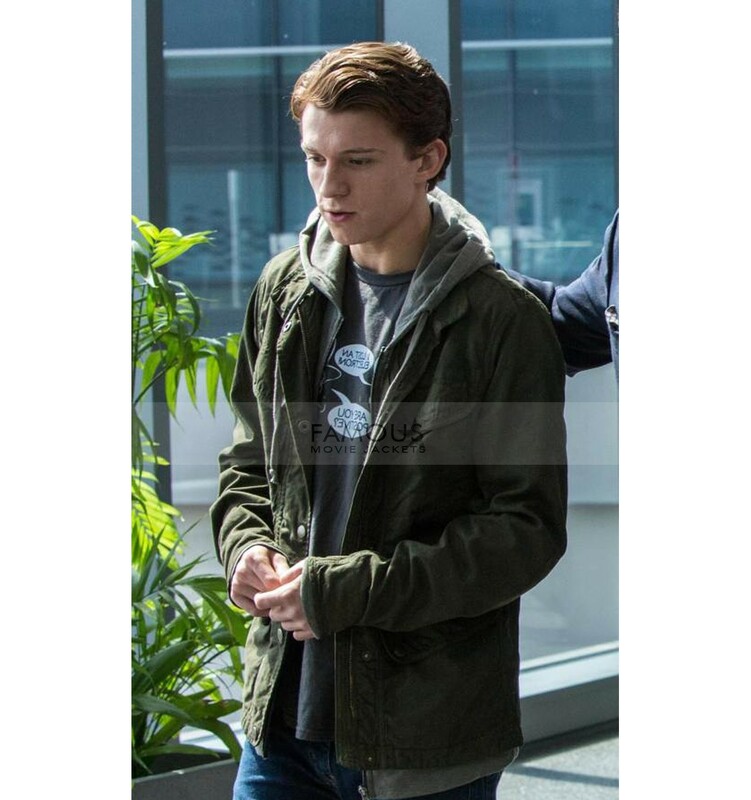 This Spiderman Tom Holland classy jacket in olive is made of cotton with viscose inner material. The jacket has front YKK branded zip closure with hoodie on back. It is a spacious jacket as it has 2 outside and two inner pockets two keep your valuables. A must grab items for you winter styling. You can customized this jacket as per your requirement or can follow your size chart. So, pick this stylish attire and maintain your classy look in daily casual wear even in winters. When I saw this Spider Man’s hoodie vest couldn’t resist to order and I am glad that I received before expected time. It is completely dreamy outfit as I wanted but the spider man logo could have been more improved anyway I am completely happy and satisfied with this vest. Thanks a lot.